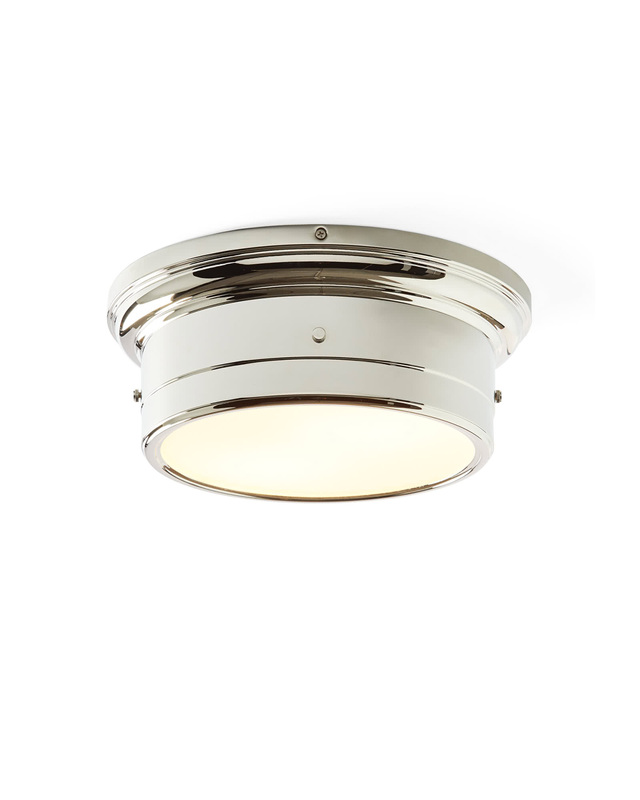 Breton Flush MountBreton Flush Mount, alt="Breton Flush Mount, "
Print A straightforward silhouette shaped out of brass, this shines with understated style. The white glass shade creates the soothing ambiance. Brass with white glass shade. 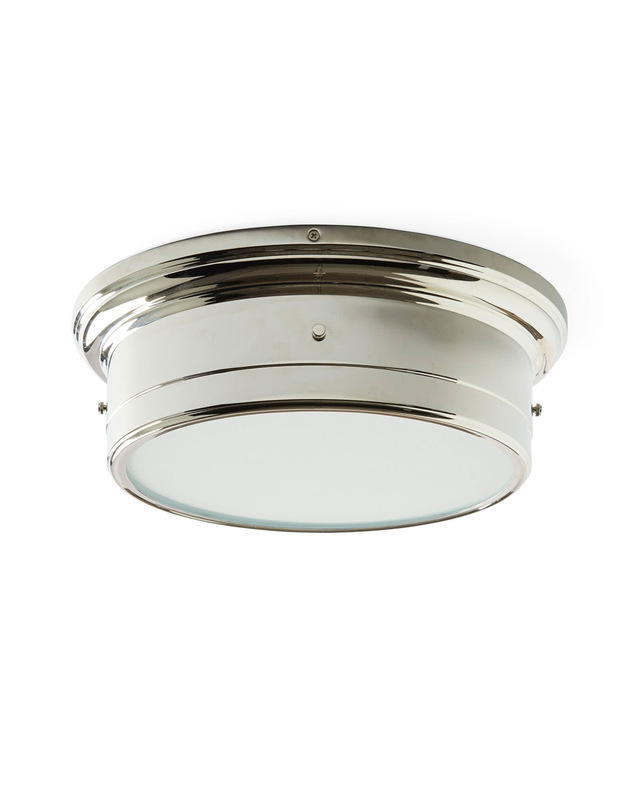 Hand-rubbed brass finish or Polished Nickel finish. Uses two Type B bulb, 40W max. Avoid the use of cleaners, polishes, and abrasives, as these will damage the finish.